While 2018 turned out to be an adequate year for initial public offerings (IPOs), even as investors wrap the worst year for U.S. stocks since 2008, things are looking up in 2019. According to Dealogic, American-listed IPOs are on track to raise the most money since 2014 compared to last year. And, despite talks of a looming recession in 2019, the outlook for capital markets appears more promising. Among the companies expected to go public next year are ride-hailing services Uber and Lyft as well as Airbnb and Pinterest. These names could spark some valuations as high as $100 billion—if all goes well and the stock market cooperates. On Monday, Slack announced it has confidentially filed for an initial public offering with the U.S. Securities and Exchange Commission. According to Reuters, the business messaging service is hoping for a valuation of more than $10 billion. “Companies don’t want to dilute more than 10 percent at the IPO. So they need an IPO valuation greater than $2 billion to create a large enough float at the IPO for the large mutual funds like Fidelity and T-Rowe to get interested in the IPO,” Das told FOX Business. Additionally, he said the main incentive for a lot of these companies to go public in today’s climate is to “gain the ability to sell large deals to large enterprises” and simply to get a market validation. FOX Business takes a look at some of the high-profile companies that may go public this year. It’s long awaited IPO is expected in early 2019. The company reportedly filed a confidential draft document in early December, according to Bloomberg. Morgan Stanley is said to be its lead underwriter with a target valuation as high as $120 billion. Uber’s CEO Dara Khosrowshahi told FOX Business in September that his company is ready if the stock market is. The data-mining software firm — founded by billionaire Peter Thiel — is reportedly eyeing an IPO as early as 2019, according to The Hill. The outlet cited its valuation as high as $41 billion, which is more than double what it was recently valued at by private investors. However, a source told The Wall Street Journal that an IPO is still up in the air and that the company may remain private. 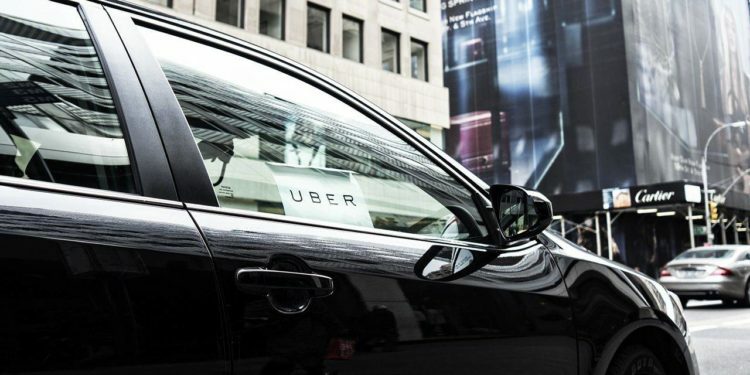 The Wall Street Journal first reported that Uber’s rival has selected underwriters for an IPO that is expected in the first half of 2019. JPMorgan Chase is expected to lead the offering along with Credit Suisse Group AG and Jefferies Group. In June, Lyft was valued at $15.1 billion, as cited by the Journal. Billionaire Carl Icahn was among Lyft’s early investors and maintains a stake, according to reports. The company that lets users “pin” visual ideas to their accounts, among other trends, had originally planned a 2018 IPO, but held off after missing 2017 revenue estimates. However, it has reportedly seen a rebound in ad revenue that is projected to hit $1 billion, which has fueled IPO rumors. Pinterest was privately valued at $12.3 billion during its last round of financing in 2017. According to the Wall Street Journal, Pinterest is “actively” preparing for an IPO as early as April 2019. On Monday, business messaging service Slack Technologies Inc. said it has confidentially applied for an initial public offering with the U.S. Securities and Exchange commission. Reuters said the company is hoping for a valuation of more than $10 billion and is also considering a direct listing. In May, Airbnb CEO Brian Chesky said the company is ready to go public in 2019. The long-expected IPO is expected midway through the year. It’s also seeking a direct listing (DL), and has consulted with Spotify, which went public on the New York Stock Exchange via a DL, on the process. The valuation is currently estimated at around $31 billion. *This story, originally published on 12/11/18, has been updated.